If you weren’t aware, the peak moving season for movers starts in mid-May, right around Memorial Day weekend. From this point on until Labor Day weekend in September, moving companies are booked more frequently (and at higher rates) than throughout the rest of the year. For those that have the freedom of choosing the dates for their moving project, timing is everything. Planning a move before peak moving season can save you time, money, and a whole lot of hassle, from finding a reputable company that’s available, to booking the services you need for a smooth and organized moving experience. At RC Mason Movers, we’re dedicated to providing our customers with everything they need to enjoy a stress-free, pleasant relocation during the high season, the low season, and every other season in between. 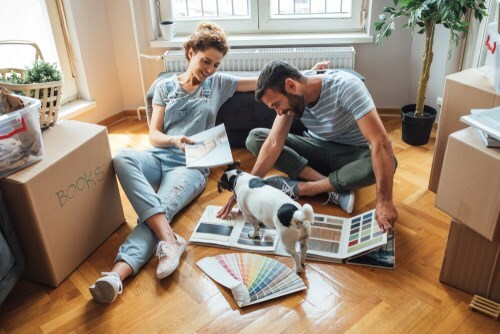 To improve your chances of a hassle-free, more affordable moving experience, take a look at these tips on getting started with your moving project now before peak moving season hits this year. While we always suggest that our customers start planning their relocations months in advance, it is possible to get it together and execute a flawless move in a shorter time period. In this case, we still have two months until peak moving season starts, which gives us just enough time to efficiently organize a moving project. To pull off a move in the next few weeks (and before peak moving season starts), you’ll need to get organized immediately. Your first step should be investigating potential moving companies and getting pricing estimates. This will help you set a solid moving timeline and moving budget, especially if the company you choose offers in-home, personalized moving quotes—as we do at RC Mason Movers. If you’ve booked with a reputable, professional moving company, you’ll likely have plenty of access to moving resources that will help you to begin organizing your move on a schedule. You’ll likely receive help planning your move day by day, working closely with your personal moving coordinator to ensure that everything gets done when it’s supposed to. A dedicated moving calendar prepared by professional movers will help you to make sure that all loose ends are tied before moving day. Speaking of tasks to complete before moving day arrives, did we mention that there are a lot? Moving can be overwhelming without the right organizational tools and expertise. A professional moving coordinator can help you determine what needs to be done and when, and will make sure that your moving calendar gives you enough time to complete these tasks before moving day arrives. If you’re getting worried about your upcoming move, let us know. There’s still some time to plan your move before peak relocation season hits—and we can help you get organized to complete a smooth and stress-free relocation before that happens. At RC Mason Movers, we’re proud of our expert team of professional movers, and the services we provide for our customers making local, long-distance, and international moves. If you’d like to get started with your spring move today, give us a call or fill out our online form to meet with a coordinator for a free, no-obligation pricing estimate and moving consultation now.